Pigging is an important operation conducted in a pipeline for internal cleaning of the pipelines. Pig is launched or received in the Pig Launcher/ Receivers. The most important thing in pigging operation is to ensure that the pigging vessel (shell) door remains closed during pigging operation and can be opened only when vessel is depressurized and completely drained. The greatest hazard is when the Launcher/ Receiver are opened accidentally whilst still under pressure to insert or remove a pig. The basic safety rule to be followed here is to ensure that the pig trap is completely depressurized before opening and closing the closure doors. To overcome this hazard and for the safe operation, the pig trap valves, drain vent and kicker valves must be operated in correct sequence. 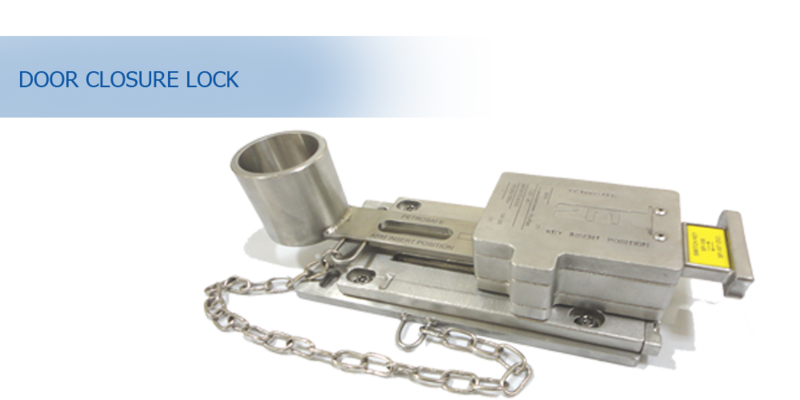 The PSS door closure Lock is custom designed to interlock the closure door of a pigging vessel. The door closure Lock prevents the bleed bolt from being removed and there by the closure door from being opened. Only the insertion of a dedicated key allows access to the bleed bolt and permits its removal. This key can be only released after the door is closed and the bleed bolt is back in position. The door closure Lock is suitable for every type and size of closure door. PSS Key transfer Interlocking systems provide a safety system that positively controls the entire process and the operator is made to follow a safe, clear, predetermined path and there by eliminates the possibility of human error. 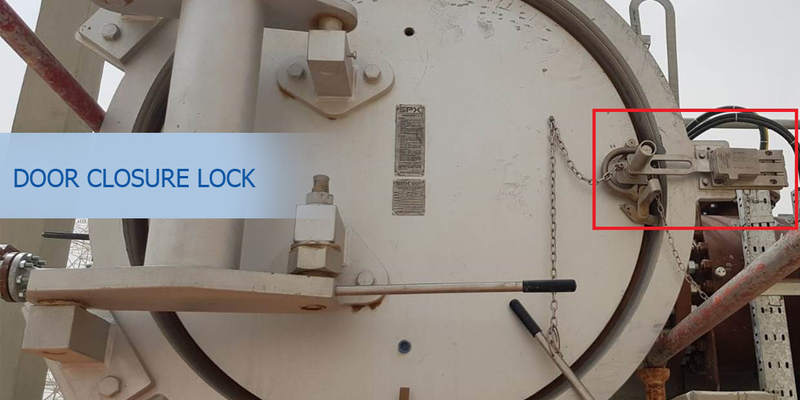 By fitting Interlocks to all concerned valves, and to the closure doors, it is impossible to load or retrieve a pig without first depressurizing the pig trap. In summary, key transfer Interlocking provides a logical method for controlling pig launching and receiving, no matter how complex. Can be fitted to existing Closure Doors without shutting down the plant.